It was my first time traveling to the United States of America. If it had not been for my imperialist hatred against the “belly of the beast,” I would have been elated to feel what it’s like in America and in the Big Apple for that matter. My visa was denied the first time I applied so I was anxious about what questions would the immigration officer ask. I have more than enough dosage of others’ experiences of being held at the immigration and it would be a huge hassle and stress if I would have to undergo it. As I approached the immigration, I put on my widest smile as I was instructed so as not to piss off the officer. Luckily, I passed through the dreaded line without trouble. After I grabbed my luggage from the carousel, I went to the entrance to look for the public taxi lanes. A man persuaded me to follow him for the ride to my hotel. I said that I am looking for the yellow taxi and he said he drives an official airport taxi. I followed him to a strangely empty parking area and I found out that it was not a yellow taxi so I asked the man how much is the charge? It was more than half of the price I was instructed to pay so I got off the car and headed back to the airport entrance. I hopped in a yellow taxi but I was still over charged because I was supposed to queue somewhere. I was expecting not to see this kind of “extortion” in a 1st world airport but it was worse than I imagined and dangerous. Where I come from, it is relatively colder than any other place in the Philippines but the cold bites in New York and it was supposed to be spring. It was snowing several days after my arrival. Although I have already gotten over my “White Christmas” fantasies, I was still awed the first time I experienced it. 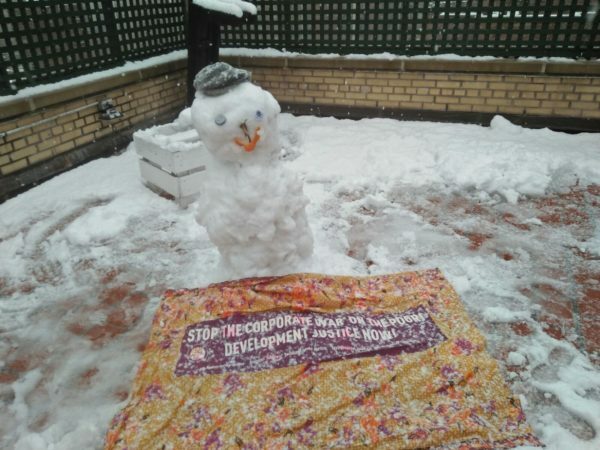 However, the thought that it was snowing in spring is a concrete manifestation of climate change and those who are responsible for this erratic condition have their offices in the US. There was a snow storm when I was about to leave New York and all the alert systems were activated with updates all over the tri-media and social media. It was a stark difference from where I come from and maybe to most developing countries. In my country, typhoons and other disasters always have casualties, ergo, the body count. The extreme manifestations of climate change are found in the Global South where capacity to rise above disasters is minimal or even none. Those who are accountable for the fast-paced change of climate can afford to minimize disasters. So that joyous feeling of my first snow was fleeting. When I did not have any other engagements, we were able to go around the UN headquarters. What caught my attention was the plenary hall. 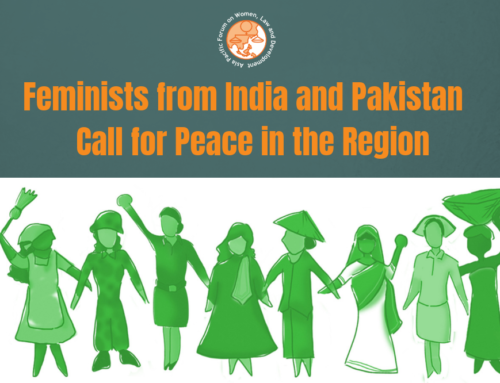 The civil society is placed too far away from the government delegations hindering interactions or any form of engagement while these governments talk about what they have done on the rights of women. Civil society is seated with tourists who take their selfies every now and then. Nobody knows if they are really concerned about the Commission on the Status of Women. While governments were reporting, most of the seats were empty. Where were the governments? 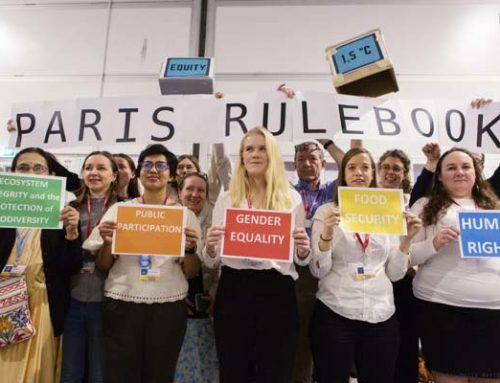 How can we measure their sincerity if they cannot even sit down and listen to other governments talking, especially to the minuscule intervention of the women rights groups in the plenary. I began to wonder if our efforts could bear fruit after the sessions with the kind of sincerity that the government delegates were showing. 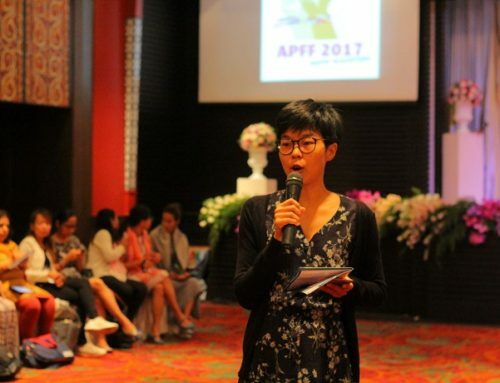 APWLD and other CSOs spent resources, sacrificed so many other tasks, and travelled so far to lobby on language and actively engage to be able to move forward regarding the rights of rural women and girls. The question of relevance bothered me for several days. This was my first engagement with the CSW and I was overwhelmed with the language and processes. I appreciated the process that the Women Rights Caucus did every morning. It is in this space that I was able to understand the processes, especially the language. It is also here where I appreciated what CSW engagement meant not only for me and my people but to all the women and girls with different realities worldwide. On the other hand, it was hard for me to understand why some women’s groups pressed on changing the language of “rural women and girls” to “women and girls living in the rural areas.” They explained that the phrase “rural women and girls” boxes women and girls as food producers only when in fact, women and girls have different identities and realities. For me, “rural women and girls living in the rural areas” does not carry any bias to the poor and marginalized. “Rural women and girls” for me does not capture class bias but at least marginalized women in the rural areas can identify with it. In the Philippines and most developing countries in Asia, rural women and girls are food producers because they are small farm owners, or farm workers of landlords or capitalists who own mono-crop plantations. Yes, they are food producers. It is their reality. And this reality is not their choice but the condition forces them to be nailed in that position. Unless there are significant structural changes then these rural women and girls can have access to quality education, dignified jobs with living wage and other identities and realities that they want. What Rural Women and Girls Are We Talking About? 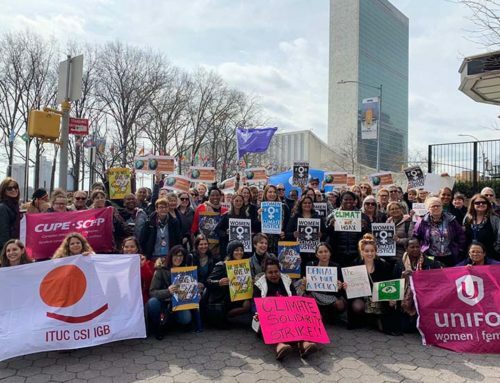 The focus of the CSW 2018 was on rural women and girls but unfortunately, the participation of rural women and girls was not so visible. This is because most of them were denied visa to the US. Young women from the Global South who cannot show financial stability are denied entry to the US. Most rural women and girls cannot access dignified jobs with living wage thus, we cannot easily open bank accounts. If these women are denied visa on this basis, why is the UN holding a conference about our situation without us properly represented? What rural women are we talking about? I appreciate the efforts from the civil society to raise this to UN Women every time we have the opportunity. I am not a good speaker especially in the English language. I can write better than I speak. So in the side events that I have to speak, I always have to prepare a written speech. I am more confident if I have papers in my hand, especially because I am always intimidated with people who speak faster English. But I found courage with the solidarity I received from other women’s rights groups and individuals who would always offer solidarity. With the worsening human rights situation in my country, it is always encouraging to hear words of support from people I just met. This helped me realise that I am not wasting time, energy and resources just to attend the CSW. 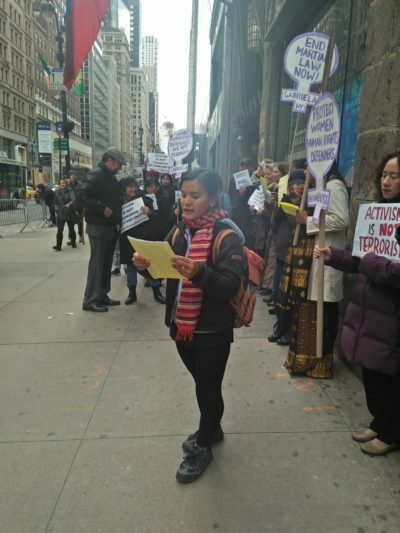 During the solidarity rally on March 16 in front of the Philippine Consulate in New York to demand the Philippine government to drop its terrorist proscription against human rights activists in the Philippines, I saw many faces from the Women Rights Caucus and the Indigenous Peoples Major Group. The efforts from the Women Major Group including APWLD to collaborate with Gabriela NY to hold a protest action was a huge show of support. The rally was an energizer as if it was the main event. Sometimes, I just want to listen because I am lost most of the times, especially when discussions linger on identities. I think these kinds of activities blur the class struggle and focus so much on the intersecting identities of women and girls. In the experience of Cordillera Women’s Education Action Research Center (CWEARC) and my personal experience, women and girls at the grassroots level do not care about cross cutting identities. On a daily basis, we struggle to resist aggression in order to live and the blur of identities are addressed as we empower ourselves and other women and communities. I see the relevance of CSW when it comes to the engagement with the Sustainable Development Goals but I see difficulty if we are only to monitor the SDGs. There is a value gained from monitoring the implementation of the SDGs but grassroots women should not be tied to it because the SDGs do not really reflect what women want or what people want especially in the Global South. It should be used as a minimum accountability measure as we push for what development means for us. Overall, despite the nuances of identities and realities and rural women and girls, I felt the strong solidarity. I saw our common aspirations, struggles, and threats. I hope the stories of the movement I belong with which I was able to share can help bind us in stronger solidarity. As I have always been saying, Kasiyana. Whatever realities and struggles we face, we shall surpass it as long as we embrace the power of movements and solidarity. Kasiyana, we shall overcome! 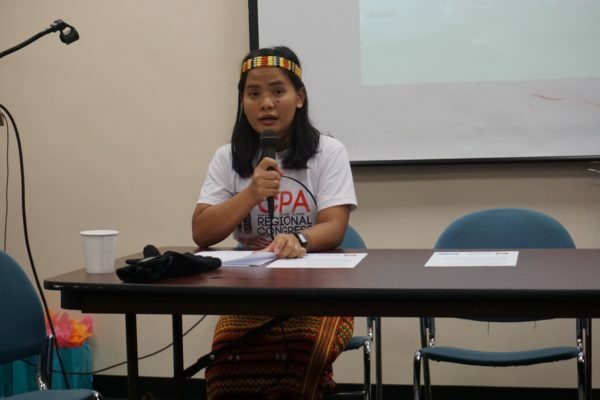 Alma Sinumlag is an APWLD member from Cordillera Women’s Education Action Research Center (CWEARC), Philippines. 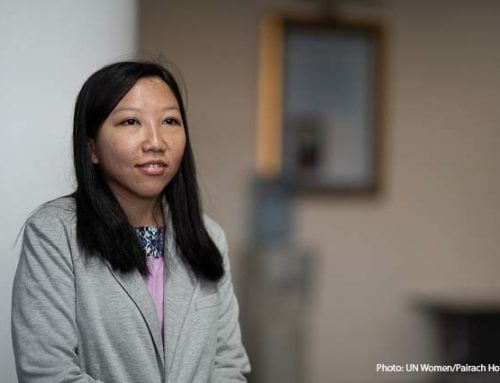 She shared her reflections on attending CSW62 with us.